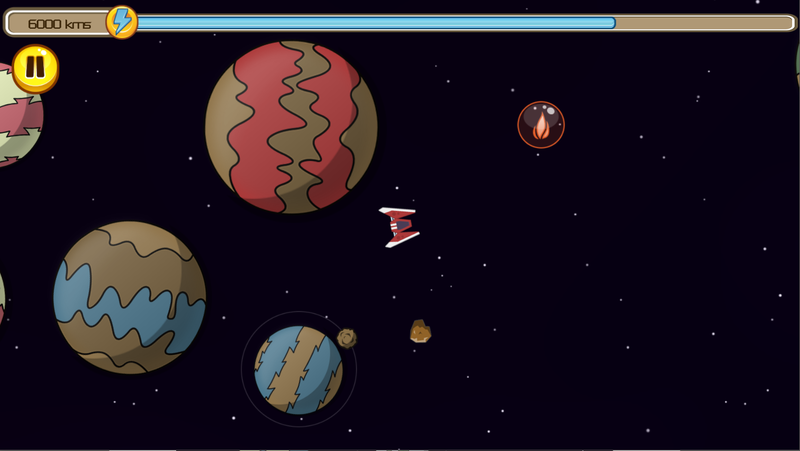 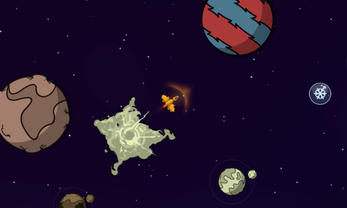 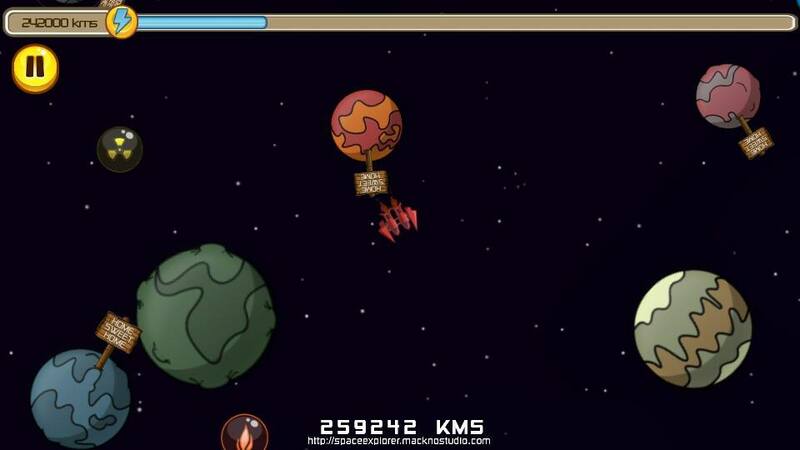 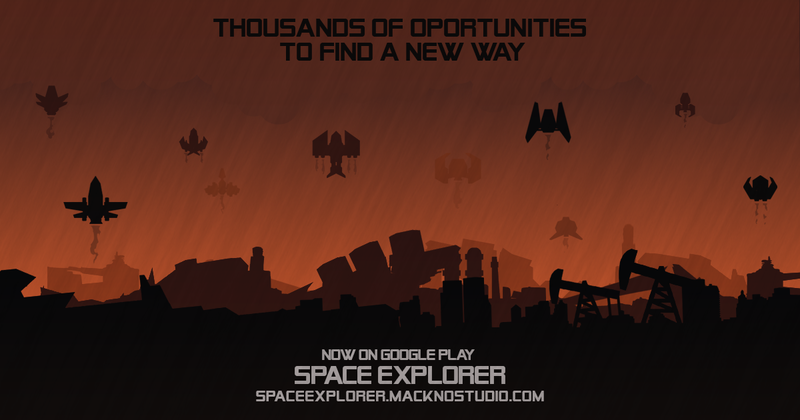 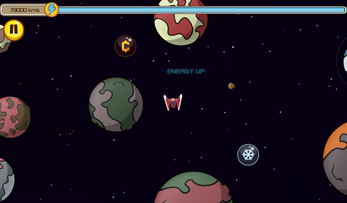 In the game you control a spaceship, and your goal is to find habitable planets. 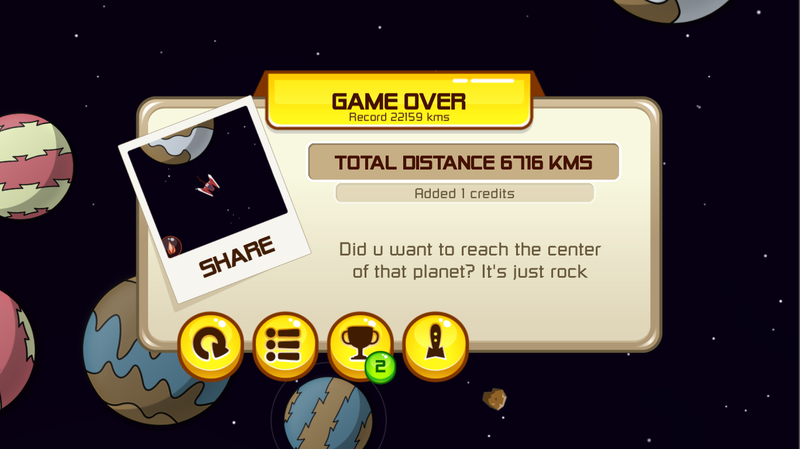 For this you need to get as far as you can while avoiding colliding with the planets. You can help yourself from power-ups to move fast, or slow down and achieve better control over the ship, or destroy planets around you that are not habitable, and still others. 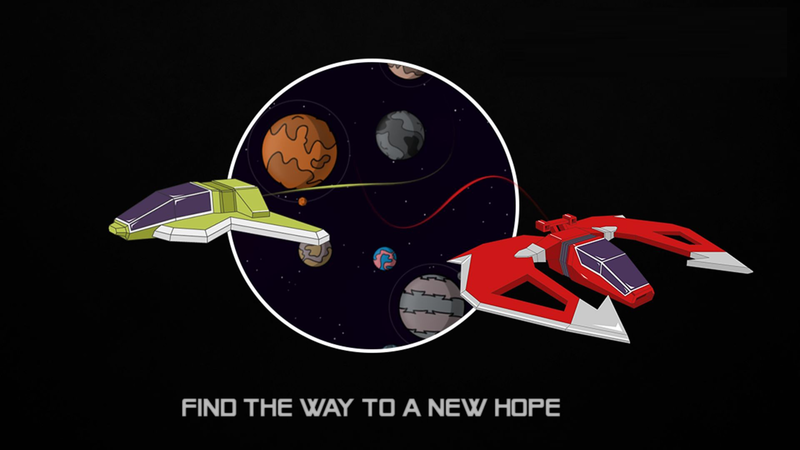 With each trip you earn credits and with them you can buy more ships, or more power-ups. Be careful with the aliens, they do not like to get too close to their territory. Do you succeed in your missions, how many habitable planets could you find?